The job seeking marketplace has changed significantly, especially as you consider how technology has developed and just how many actual candidates are searching for employment. Seeing as I often instruct and write on resume-related topics, it seems only fair that I also mention LinkedIn. Today, while it might go without saying that in order for you to get the job of your dreams your resume needs to be seriously top notch, the same can be said about your LinkedIn profile. Recruiters are commonly taking to searching for candidates via this social network, and sometimes this is the first place these professionals go to post new opportunities and connect with job seekers. If you are in the middle of a job search, you can’t afford not to have consistency across these two platforms—namely your hard copy resume and what a potential employer might read about you on LinkedIn. How Do I Create a LinkedIn Profile Worth Reading? Just as there are rules for resume writing, the same is true with LinkedIn profile creation. As you begin to contemplate your LinkedIn profile, consider these tips. List every job you have held. While it’s true that it’s okay to be selective on your resume, the exact opposite is the case on LinkedIn. Why, you ask? Because recruiters will often search for a candidate based on where they have worked in the past. If this isn’t included on your profile, you won’t be found. Therefore, while you may have shortened your hard copy resume so that you do not present a veritable tome to a potential employer, expand upon your past on your LinkedIn profile. Write about all of your past positions. While this might seem like a serious time commitment, going back and rehashing all of the professional details from every job you have held, this is absolutely necessary when completing a LinkedIn profile. The reason for this is because what you write will contain keywords that will help you be found. Plus, just like on a resume, someone who is viewing and considering your profile wants to know your past successes and accomplishments. Fill in the section that outlines “specialties.” This is a keyword-focused area of LinkedIn and it’s incredibly important when you consider how a recruiter searches on the platform. Think about this area carefully and how it applies to your career. Do your due diligence in filling in as many competencies and proficiencies as possible. In order to do this correctly, it’s best if you take a bit of time and look for commonly used words and phrases that relate to your industry. Effectively edit your sub-header. When you first begin on LinkedIn, you will likely enter your current job first. Therefore, LinkedIn will place this directly underneath your name on the profile. So, unless your job title is really impressive, you need to edit it so it attracts attention. For instance, “John Doe, Sales Representative for ABC Company” is not overly striking, but “John Doe, Revenue Generating Extraordinaire and Consultative Sales Expert” could raise some eyebrows and communicate what you might be able to bring to a company. Create a personal URL. LinkedIn will automatically generate a seemingly generic URL for your profile when you start your account. This is bound to look something like: http://www.linkedin.com/johnd8976890. This URL is designed so a visitor can access your profile directly without searching for you and it is also a Web address that many job seekers choose to put on their hard copy resume. Ultimately, you can change and personalize this URL so you can both simplify it and stand out. For instance, my LinkedIn profile is: www.linkedin.com/amandaclarkgrammarchic. Not only is this a direct match for my name, but it also includes my company’s name, which is how many people search for me. So from an external Web standpoint, my LinkedIn profile is likely to be found on a regular search. LinkedIn, as a social network, ranks really well on the search engines, so doing this can help ensure that you are on page one of Google for your name. In today’s digital age, it’s fine to have a great resume that you email or hand directly to a potential employer, but you also must make sure that your online profile is doing its job as well and presenting you in an attractive light. If you have been struggling to create a LinkedIn profile, or a resume, that effectively portrays your background, stop stressing and call Grammar Chic, Inc. Our team of professional resume writers and LinkedIn profile creators can help you craft a hard copy document and an online profile that will get results. Call 803-831-7444 or visit www.grammarchic.net right now! 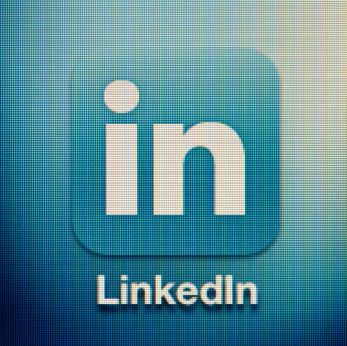 Pingback: Are You Using LinkedIn Marketing For All Its Worth?